Apples: Various heirloom French cider varieties. Place of origin: Domaine Manoir de Montreuil, Pays d’Auge, Calvados, Normandy, France. Nose: Sourdough starter, sawdust, dried apricots. Palate: Fizzy and sweet. Caramel apple with peanuts, smoked pork shoulder. Finish: Mild but meaty. Apple wood smoked pork. Parting words: The Giard family has owned the Manoir de Montreuil estate since the eighteenth century. Like many apple growers in Calvados, the Giards produce cider and brandy from their estate, both under the Pays d’Auge appellation. As far as I can tell, the brandy is not available in the US, except for in California where it sells in the $40-$45 range, which seems like a bargain for estate Calvados. One of the estate’s claims to fame is its large herd of free-range cattle which are allowed to roam the orchard and fertilize the soil the old-fashioned way. I have found some Norman ciders to be overly tannic and funky. While the nose is funk and tannin forward, the palate is surprisingly fruity and even meaty on the back-end. While the orchards may be home to a lot of beef, the finish is porky. It’s like quality pork chops smoked over fruit wood. It pairs very well with food of all kinds and is a great value at $13. Be careful, though! When I started to untwist the wire cage, the cork shot out, leaving a foamy mess all over my dining room floor. Manoir de Montreuil Cambremer Pays d’Auge Cidre is recommended. Chateau du Tariquet, 8 years old. Maker: Chateau du Tarquiet, Éauze, Condom, Gers, France. Place of origin: Tariquet estate, Bas-Armagnac. Appearance: Dark auburn with lots of closely spaced legs. Nose: Overdone oatmeal raisin cookies: Vanilla, toasted cookie, raisins. Palate: Alcohol, dried figs, old oak. Finish: Hot, fading into macerated raisins. Parting words: Armagnac is a type of French brandy produced in the Armagnac region of southwestern France. 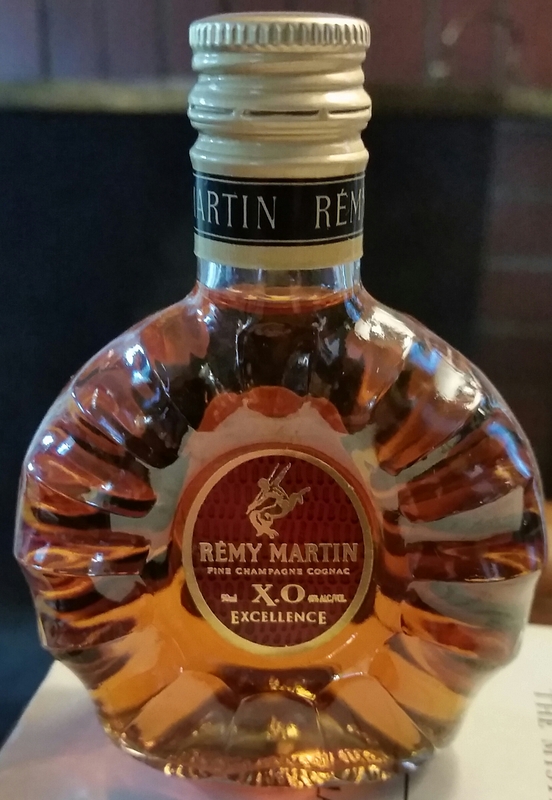 It differs from Cognac in a few ways. First, it’s made in a different region altogether. Second, Armagnac is made in Alembic continuous stills unlike Cognac, and it is only distilled once, also unlike Cognac which is distilled twice. This can give Armagnac a bold, rustic character that sets it apart from its mild, easy drinking cousin. There’s not a lot of information on this Armagnac house to be found on the internet. What I was able to discover was that Tarquiet produces a fairly wide assortment of Armagnacs as well as Cote de Gascogne wines. The vineyards were purchased by the Arnaud family (bear-trainers by trade) in 1912. Hélène Arnaud married a young hairdresser named Pierre Grassa after World War II and the estate passed into the hands of the Grassa family. Armin and Rémy Grassa, grandsons of Hélène and Pierre, are now chief winemakers at the estate. I don’t review a lot of Armagnacs, but I would like to review more. The biggest obstacle to that is the extremely limited select of them in Michigan. So I try to pick some up when I can when traveling. This one appealed to me because it is relatively affordable and available at cask strength. It’s not the most flavorful one I’ve had, but it has some very nice oak characteristics and rich raisin flavors that make it fun to drink. I like it. Chateau du Tariquet, 8 years old (100% Folle Blanche, cask strength) is recommended. NOTE: Factual error about method of distillation has been corrected. Appearance: Golden auburn, a lot of necklacing, big thick legs. Nose: Alcohol, dry apple cider, toasted French oak. Palate: Thin, alcohol, dry apples, maple sugar, celery. Finish: celery, oak, under ripe apple, Like Arkansas black or similar variety, white sugar, dash of vanilla. 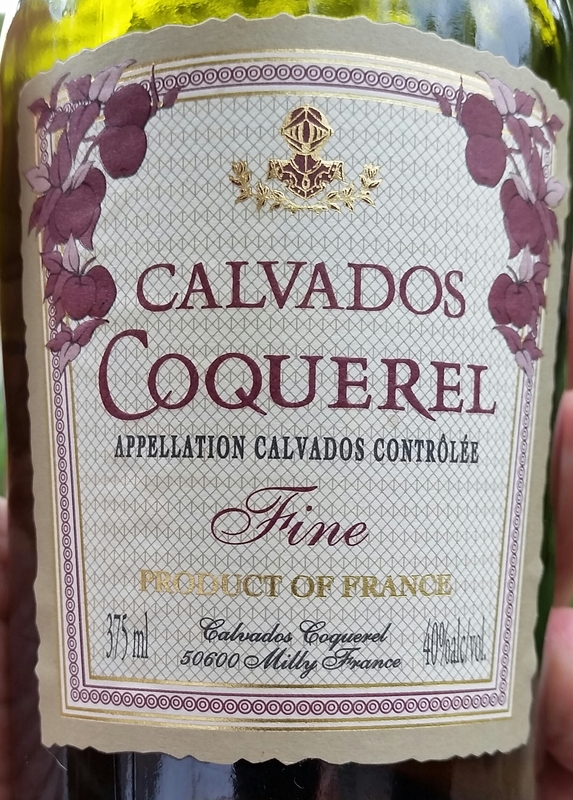 Parting words: Calvados Coquerel was founded in 1937 by René Gilbert and remained in the hands of the Gillbert family until it was purchased by Asbach in 1971. Asbach became a part of Diageo in 1990 but Calvados Coquerel regained its independence when it was sold to Jean-François Martin in 1996 (not to be confused with the Remy-Martin Cognac house). Fine is the bottom shelf, err “entry level”, apple brandy from Calvados Coquerel. The other grades are Vieux (3 y/o), VSOP(4 y/o) and XO (6 y/o). The line is capped off with the Marquis de la Pomme fifteen and twenty year old brandies. They also make a variety of other apple-related beverages including cider all using Norman apples. This brandy has been savaged online, maybe a bit unfairly. It’s certainly not great, but as a mixer or casual sipper it’s good enough. The price is a bit hard to swallow, though. One can get the Laird’s 7 ½ y/o apple brandy for three dollars more and the 100 proof Laird’s for just one dollar more. Black Star Farms does make an apple brandy in a similar style but at $22 for a 375 ml bottle, it works out to be much more expensive per ml. All that said, given European brandy prices, this product isn’t priced too far out of line but that doesn’t mean its worth the money either. Calvados Coquerel Fine is mildly recommended. Appearance: light ochre with a big fizzy head that disperses soon after pouring. Nose: Dry and flinty with a hint of yeasty funk. Palate: Fizzy, apple juice, sourdough, chalk dust. Finish: Fairly clean with a little funk and a touch of sweetness. Parting words: There are very few denizens of the Wonderful Land of Booze that I just don’t enjoy. Sherry, flavored vodka, American blended whiskey, Coors/Bud/Miller beer and French cider all fall into that category. This cider is drinkable enough, but the combination of funky yeast and dry chalk don’t exactly keep me coming back. Maybe I should have started my cider journey in Normandy and then sailed to the UK and US, or it’s over or underaged but this is not a repeat buy, especially at this price. Not recommended.